Minnesota has two academic institutions offering a bachelor's in software engineering program. 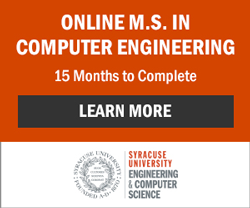 This is actually on the high side compared to other states in the U.S. Computer science, computer engineering, and software development are optional programs to pursue in lieu of a software engineering undergraduate degree program. Career opportunities and outlook remain similar for graduates of these programs. There are numerous software engineering professionals who hold their undergraduate degree in one of these fields. Software engineer opportunities for graduates of undergraduate degree programs in software engineering, computer science, computer engineering, or software development in Minnesota are not limited to technology sector companies. With the way technology has infiltrated almost every aspect of our lives and commerce, opportunities for software engineering and related professions exist in most all sectors. In fact, the Bureau of Labor Statistics projects growth in software and information technology to continue their rapid increases throughout the next decade, making this an opportune time to be exploring degrees in these areas.